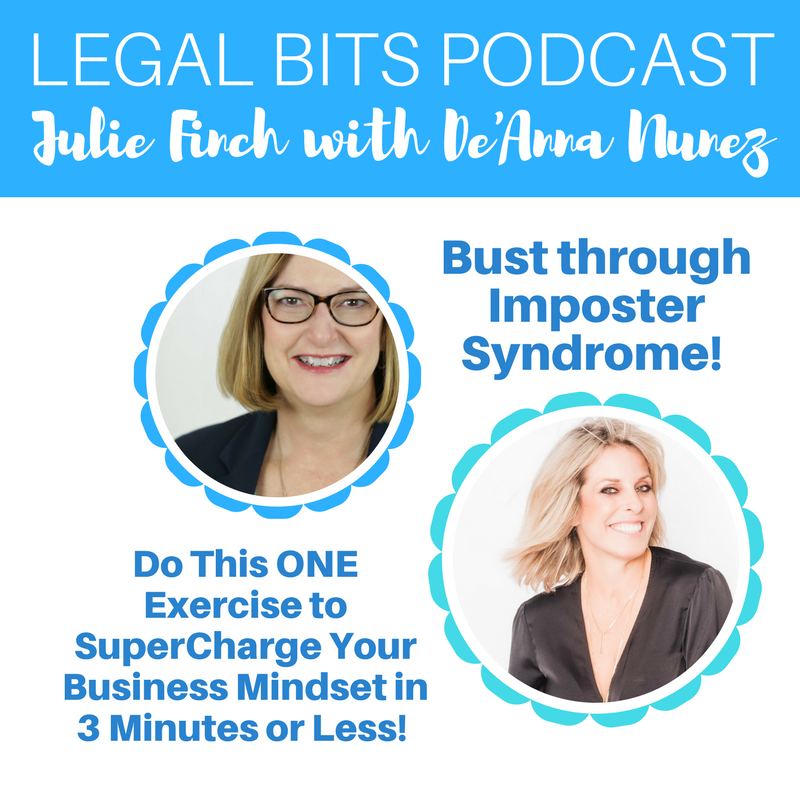 I am thrilled to have been invited this week on the Legal Bits podcast with host extraordinaire and attorney Julie Finch. It was a fun and lively conversation sharing why Hypnosis is my favorite personal development tool and how you can use it to uplevel your business mindset. We have all felt the pain of imposter syndrome as we push ourselves to expand our services, reach for that next level of pricing structure or speak on more important stages. In this interview we talked about pushing through intimidation and how to leverage your subconscious mind to grow your beliefs.